Hey everyone ! Feel free to join me on July 23rd (Sunday) from 1-3. 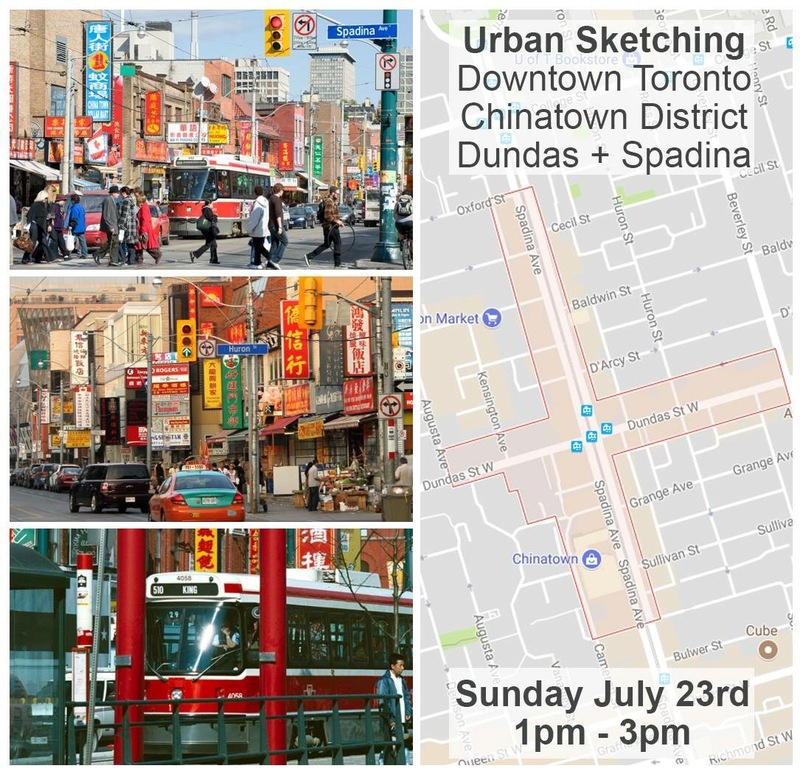 I will be downtown sketching on location. Spadina and Dundas. If you want to join you are more than welcome too. It’s going to be very casual. Just moving around sketching what ever I want. Afterwards I will be grabbing a bite to eat in the area and anyone is welcome to join. I will be brining my travelling watercolor kit and sketching tools in a bag. So nothing crazy. Easy to set up no matter where I sit and easy to clean up and move onto the next spot. Chinatown is really beautiful and there is so much going on. Tons of subject matter to sketch and paint. I am very excited to go. If anyone comes along, looking forward to meeting you !